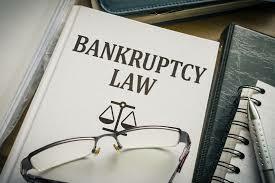 If you qualify, Bankruptcy helps eliminate harassing phone calls, letters, lawsuits and collection actions. Contact Heidi McLeod Law Office PLLC today to schedule a confidential free initial consultation to discuss how bankruptcy can help improve your financial situation. Heidi McLeod has been representing debtors in the San Antonio area for 30 years. Heidi McLeod is Board Certified by the Texas Board of Legal Specialization in Consumer Bankruptcy. Heidi McLeod is a solo practitioner who believes in personal service. When you make an appointment with her office you will meet with her personally . She will review your situation and help you determine what course of action is best for you. 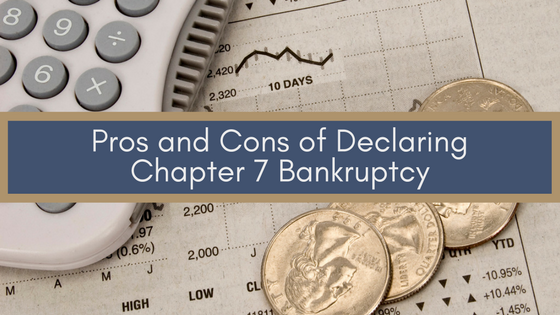 Chapter 7 is the most common form of bankruptcy and allows the elimination of most debt. A Trustee is appointed to oversee the process. It is designed for the Trustee to sell certain assets known as nonexempt assets. Most people do not have any property that would be non excempt and therefore reachable by the Chapter 7 Trustee or Creditor. People can file Chapter 7 and keep all of the assets they own that are paid for. If there are assets that a creditor can claim they gave the funds to purchase, those debts must be paid as required by the loan documents, in order to retain the property. No court ordered wage garnishment. No court imposed payment plans. The case usually only lasts a few months. Most property acquired after filing is protected from pre-petition creditors. Exempt property is protected from pre-petition creditors. Filing when you have non-exempt assets. Filing when you have paid insiders within a year of filing. Not passing the means test. Chapter 7 can be the best solution to financial problems in today’s economy. But you need to have the help of a trained professional to insure you don’t fall in to the many traps for the unwary within the Bankruptcy Code. Call today for your free initial consultation. CHAPTER 13: IS IT STILL A VIABLE OPTION? Chapter 13 was initially set up to allow people to keep their assets and pay back creditors over time. At Heidi McLeod Law Firm PLLC, we believe most people want to try to repay their bills but at a level they can afford and without being constantly harassed and bullied. Chapter 13 is designed to allow debtors to pay house arrears, the value of cars and pay unsecured creditors an amount equal to what they would get in a Chapter 7. The amount was set at the time the case was filed. In 2005 Congress passed Bankruptcy “Reform” and new restrictions were put into place. The rules were supposed to limit Chapter 7 filings but at Heidi McLeod Law Firm, we believe the new rules have been interpreted in a manner that dis-proportionally disincentivized people from filing Chapter 13. The cost of filing and maintaining a Chapter 13 plan has increased and the payment amount is no longer a fixed amount but rather a moving target. If you make too much money to pass the Capter 7 means test. If you have debt that is dis-chargeable in Chapter 13 but not Chapter 7. Very limited instances. You own property with others and want to make sure they are protected. You have received a prior discharge in Chapter 7 and eight years have not passed. Chapter 20 is a Chapter 7 quickly followed by a Chapter 13. 7 + 13 = 20. The advantage of a chapter 20 is there are no unsecured creditors in the subsequent Chapter 13. So the payment should remain fixed and people can repay home arrears, if a loan modification is not available, and just pay the value of the vehicle if there is a cross collateralization problem and a new loan cannot be obtained.